Florida's Central East region is a grab bag of amazement ranging from space travel to mangroves, and nearly 200 miles of stunning beaches in between. Parts of Central East Florida are referred to as The Treasure Coast due to their historic shipwrecks and the bounties that have washed up on these shores. Locals know this region is a treasure because parts of it are still uncrowded, affordable and family friendly. 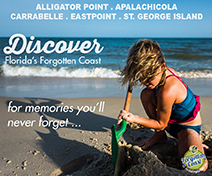 Fall in love with the seaside towns and hidden gems in Central East Florida. Unwind along 23 miles of hard-packed beaches. Enjoy a casual shopping spree at the Riverfront Shops of Daytona Beach. Schedule tee time at a tropically lush golf course. Sample local brews along the Daytona Beach Ale Trail. 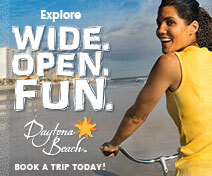 Tour Daytona International Speedway and meander through the local galleries, museums and historical sites. Dine al fresco along the Halifax River while watching for dolphins. Take in an electrifying performance at The Peabody Auditorium. Finish with a leisurely stroll and watch the stars come out over Ponce Inlet. Sit in splendor as the sun rises over the Atlantic Ocean. Next take a trip on the Loxahatchee River, Florida's first federally designated Wild and Scenic River at Jonathan Dickinson State Park. Tour the last remaining House of Refuge; touch a stingray at Florida Oceanographic; cross the street to the Elliott Museum to be amazed at the antique car collection. Visit Jensen Beach, both downtown and the beach. End the day in Stuart, the first town in Florida to be designated the "Happiest Seaside Town" by Coastal Living. Rise early to hook up with your hired guide and find out why 730-square-mile Lake Okeechobee offers one of the world's most amazing freshwater game fishing experiences. Other top tourist draws in this area center around hunting and shooting sports. Back in Okeechobee, enjoy good old-fashioned home cooking at a local restaurant or lunch at your favorite national chain. 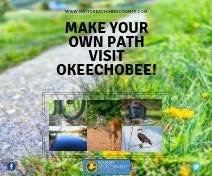 Grab your camera and hike or cycle along the prettiest part of Lake Okeechobee Scenic Trail. Later, drive to Kissimmee Prairie Preserve Park and spend the night stargazing. 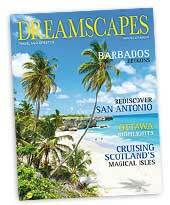 Relax on miles of uncrowded beaches or ride the beach on horseback. 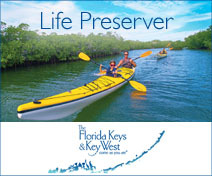 Kayak on the famous Indian River Lagoon, floating through tunnels of mangrove trees. Pack your clubs and choose from over two dozen golf courses, including the famous PGA Village in Port St. Lucie-voted one of the top 75 golf resorts by Golf Digest. Immerse yourself in "Old Florida" culture in downtown Fort Pierce, one of the most historic and idyllic main streets in the USA, where Spanish period architecture is plentiful and local seafood is the main staple. In historic Fort Pierce, the nearly 100-year-old Sunrise Theatre, a beautiful performing arts venue, hosts top-notch entertainers, comedy acts, musicians and performing artists. Also on the downtown waterfront of Fort Pierce, the A.E. 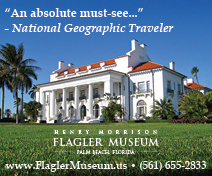 Backus Museum & Gallery houses the nation's largest public exhibition of artwork by Florida's preeminent painter, A.E. Backus, as well as the State's only permanent multimedia exhibition on the Florida Highwaymen. Changing exhibits from artists of national and international acclaim round out the museum's Florida-centered mission. The outdoor Mural Plaza opens onto a park that borders the Indian River Lagoon and offers a place for fresh air and artistic inspiration. Located in the middle of Central East Florida, Vero Beach has two very special venues. The Riverside Theatre runs six off-Broadway performances per season and a Comedy Club event on select weekends. Riverside's 2018 highlights include Million Dollar Quartet, Gypsy and Mamma Mia and hosts four Premiere Lecture Series that are popular among locals. Second is the Vero Beach Museum of Art, which houses regional, state and national art exhibits. Admission is free on the last Saturday of the month. Melbourne's Eau Gallie Arts District is a cultural pearl that supports the arts through galleries, museums, local stores and antiques. You will find a combination of poets, dancers, potters and painters in this cute neighborhood. Commonly referred to as EGAD, it is home to Brevard County's top fine art galleries and the Foosaner Art Museum. First Friday events take place in the Community Garden next to the bandshell. Come for hands-on artmaking, music and kids' activities. Visit Historic Cocoa Village and catch a show at Cocoa Village Playhouse, part of the community since 1924 and listed on the National Register of Historic Places. Situated between Cocoa Beach and Orlando, the award-winning main-street community of DeLand holds onto its historic past as it moves into modern times. DeLand is a thriving community full of pride and passion that is apparent by its numerous art murals, friendly patrons, shops and galleries. The Athens Theatre is a masterpiece of Italian Renaissance architecture, offering classic movies, independent films and live entertainment. The Hub on Canal, in New Smyrna Beach (NSB), is unsurpassed for its individuality and original artworks. Nearly 80 artists convene in this contemporary exhibit hall, which doubles as a workspace where visitors can observe artists at work and buy directly from them. This is only one offering within the town's four-block radius that makes up the Arts District filled with boutiques, galleries and cafes. Be sure to check out the Atlantic Center for the Arts, which draws aspiring artists from across the country to study dance, poetry, writing and painting and create unique unified experiences. They also have a free summer concert. A newer artsy community is located in the greater Daytona Beach area. A visit to the Museum of Arts & Sciences (affiliated with the Smithsonian) gives you access to a train and railroad station exhibit, the Root Family collection of Coca Cola memorabilia, priceless Cuban and Chinese art displays, and the favorite giant ground sloth. For art, check out the Cici and Hyatt Brown Museum of Art, home to the largest private collection of Florida-themed paintings in the world, with many dating back to the 1800s. Fort Pierce's Downtown Farmers' Market is a big draw on Saturday mornings from 8 AM to noon, rain or shine, with local foods, crafts and artwork for sale. Live music is also featured. Come and see why this farmers' market consistently ranks among the top five in America. 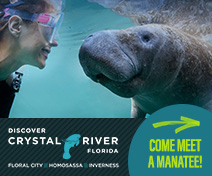 For family fun-filled activities in Melbourne, visit the Brevard Zoo or Andretti Thrill Park. The zoo houses monkeys, jaguars, kangaroos, meerkats and a Komodo dragon, plus you can kayak through 22 acres of wetlands. The Andretti Thrill Park includes batting cages, kiddie amusement rides, paddleboats, a large arcade and indoor Lazer Tag. Best of all, there are several go-cart tracks, one of which is restricted to fans with a valid driver's license who wish to travel 40 miles per hour on a European-style course. One of Florida's most famous attractions is the Kennedy Space Center Visitor Complex. Discover what it means to be a hero through the stories of NASA's Space Pioneers at Heroes and Legends featuring the US Astronaut Hall of Fame. Get a close-up view of Atlantis, the only space shuttle displayed in flight, with more than 60 interactive exhibits. A favorite activity is a buffet-style Lunch with an Astronaut in an air-conditioned setting, during which your host, a retired astronaut, shares some of his or her fondest memories via a slideshow. Following the meal, there's time to have photos taken with the hosting celebrity. Be sure to check the center's website for rocket launches. The Ponce Inlet Lighthouse, Florida's tallest, is located in the town of Ponce Inlet, slightly south of Daytona Beach. It's a great place to watch the sun set or catch a moonrise. Nature Lovers can choose from two botanical gardens in St. Lucie. Heathcote Botanical Gardens in Fort Pierce showcases the country's largest public display of tropical bonsai trees while the Port St. Lucie Botanical Gardens feature myriad tropical habitats. Feel the need for speed? Whether you are a devoted NASCAR fan or have no idea what all of the hype is about, the world's first and only motorsports stadium, the Daytona International Speedway, will blow you away. 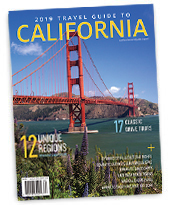 Having recently undergone a US$400-million renovation, there are tons of things to see and do. Book a 30-minute or a 90-minute VIP tour. NASCAR fans should sign up for the Richard Petty Driving Experience, where they can drive on the track or be a passenger for laps with a professional driver. The Daytona International Speedway attracts millions of visitors annually. Looking for quirky hidden gems in the Daytona Beach area? Visit Sugar Mill Botanical Gardens where dinosaur statues left over from a 1940s tourist attraction can be found. Or how about the wonderful, family-friendly, very affordable Marine Science Center in Ponce Inlet where you can touch stingrays, play with an octopus, observe the sea turtle hospital and learn about Florida's marine environment. 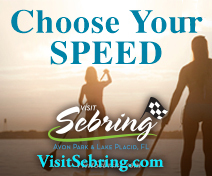 And in DeLeon Springs State Park, you can make your own pancakes at the Old Spanish Sugar Mill, take an eco boat tour, hike nature trails and swim in the springs. 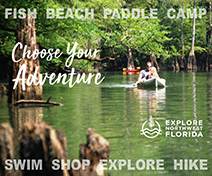 South of Stuart, the Jonathan Dickinson State Park offers awesome biking and hiking trails, ranging from normal to rugged terrain, mangroves and river swamps. Primitive campgrounds and water stations are available throughout the park. 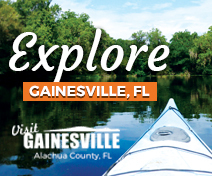 Outdoor enthusiasts enjoy the kayaking and boating experiences during the winter months. Have you ever dreamed of riding horseback on the beach? Your dream becomes a reality on the beaches of Hutchinson Island during the cooler months and is just one of many gems to be enjoyed in St. Lucie County. Sebastian Inlet State Park, situated directly between Indian River County to the south and Brevard County to the north, is an excellent choice for family camping. Spread over more than 600 acres, the park is part of the Great Florida Birding and Wildlife Trail and offers myriad activities including swimming, surfing, geocaching and scuba diving. Merritt Island is one of only six places in the world where you can see bioluminescence in nature. Night tours are a must as you kayak along the Banana or Indian Rivers and get close to nature. Dinoflagellates and comb jellies glow in the dark river waters. Think neon and maybe a hint of Avatar. This could be a once-in-a-lifetime adventure. 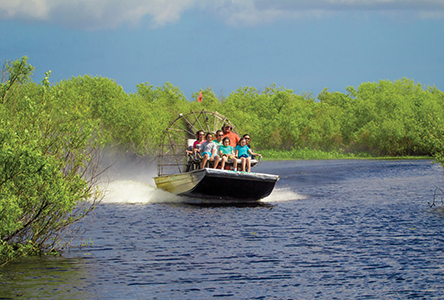 Outside of Deltona, the St. Johns River Eco Tour invites passengers to tour the St. Johns River by boat. Once a main highway for trade and commerce, this river has been designated an American Heritage River. It is home to Florida native wildlife and tropical plants, making it perfect for photo ops. The seaside community of New Smyrna Beach evokes an atmosphere of Old Florida in its sidewalk cafes, boutiques and charming B&Bs and boasts one of the finest beaches on the Atlantic coast. NSB provides a perfect venue for surfing, world-class fishing, boating and kayaking. And like Daytona Beach, cars are permitted to drive on 13 miles of hard-packed white-sand beaches found here. The first ever Okeechobee Fest took place in 2016 with headliners such as Robert Plant, Mumford and Sons and Skrillex. This four-day/night camping, music and arts festival welcomed more than 30,000 concert fans in 2017 and is scheduled to take place March 1-4 in 2018. The festival is ADA accessible. Every January, the three-day Taste of Little Italy takes place in the charming neighborhood of Tradition Square in Port St. Lucie where festival-goers embark on a cultural journey filled with authentic Italian food, music and art. Florida is a hot spot for gambling and the Fort Pierce Jai Alai and Poker facility will please those seeking thrills. The sport of jai alai dates back 400 years. Another option is Club 52, in Melbourne's Greyhound Park, featuring poker, live racing and a simulcast of horse and greyhound racing from across the nation. Club 52 hosts a "laugh your aces off" comedy show every Saturday night. Guests must be 21 years old to enter either establishment. Central East Florida's premier music and arts entertainment center is the Maxwell C. King Center for the Performing Arts in Melbourne. Furnished with 2,016 seats, this 100,000-square-foot venue hosts musical, cultural and community events. Port Canaveral is quickly becoming one of the most popular cruise ports in the nation. The Cove, a waterfront recreation area, has a large selection of martini and tiki bars with live entertainment. The views from the nearby Exploration Tower are stunning. Charter fishing boats and a casino ship are also available. DeLand recently welcomed a newer sport, rugby. The Central Florida Warriors team is a member of the United States of America Rugby League (USARL). Games run June to August at the Spec Martin Municipal Stadium. The world-class Skydive DeLand facility attracts people from around the world. There are tandem jumps for non-professionals, where an experienced instructor uses a parachute system built for two and jumps with you. Skydive DeLand also offers an Accelerated Free Fall (AFF) course, an instructional program for beginners hoping to become skydivers. The DAYTONA 500 attracts 40 of the world's best drivers to compete in the biggest NASCAR event with the grandest purse. Dubbed the Great American Race, it's the most important event on the annual racing calendar. The Jackie Robinson Ballpark, in Daytona Beach, is home to the Daytona Tortugas baseball team, a Cincinnati Reds team affiliate. The premier Ladies' Professional Golf Association (LPGA) headquarters, also located in Daytona Beach, offers two four-star courses. Step back in time at the House of Refuge at Gilbert's Bar in Stuart. The House of Refuge is the only one remaining of the original 10 havens built for shipwrecked sailors along the Atlantic coast of Florida. These houses played a critical role when ships dominated the trade markets of the world. The House of Refuge is listed on the National Register of Historic Places and offers fantastic scenery and photo opportunities. A road trip for conservationists must definitely include the Archie Carr National Wildlife Refuge, a 20-mile stretch between Melbourne Beach and Wabasso. Best known for sea turtle conservation, this area is a natural habitat for 25 to 35 percent of all loggerhead and green sea turtle nests in the United States. It's also a nesting area for leatherback turtles, a very rare kind of sea turtle. Visit Titusville to explore the Valiant Air Command Warbird Museum, which displays a collection of aircraft carriers and artifacts of all types from around the world, from pre-World War I to the present. Located in Volusia County's Port Orange, Dunlawton Sugar Mill Gardens combines a history, nature and garden visit all rolled into one. The historic remains of the sugar cane refinery, leftover from the 1800s, is adorned with kitschy dinosaur statues throughout the park, ensuring fun for the entire family. The gardens are visually appealing, which is why many choose this site for marriage ceremonies. Bring a picnic lunch and make a day of it. Donations are accepted. Take an inland trip to the Stetson Mansion in DeLand. This gorgeous Victorian mansion was the winter home of the famous milliner John B. Stetson and is listed on the National Register of Historic Places. Tour this spectacular home and note the intricate parquet floors and more than 10,000 sparkling lead-glass windowpanes. The adorable town of Stuart is ideal for browsing boutiques and dining. 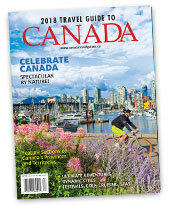 From beach-themed to upscale kitchen shops, it is a favorite destination for tourists and locals alike. You're sure to find clothing, shoes, jewelry and handmade arts and crafts. When it comes to shopping in Central East Florida, Vero Beach is the crème de la crème. Ritzy boutiques on Ocean Drive are filled with items to make you ooh and aah. Nearby Miracle Mile features shopping venues such as Bark Avenue (goodies for your pet), Chico's and Cottonways. The Vero Beach Book Store is one of the best independent bookstores in the state, due to its jam-packed calendar full of best-selling author signings and presentations. Florida is renowned for outlet shopping and one of the best is in Vero Beach. Conveniently located at exit 147 off I-95, the Vero Beach Outlets showcases 60 designer and brand-name shops, including Williams Sonoma, Coach, Banana Republic and an expanded Restoration Hardware. Avenue Viera, on the outskirts of Melbourne, is a pleasant outdoor shopping mall flanked with specialty restaurants, shops and a huge Carmike Cinemas movie theater on palm tree-lined sidewalks. Visit all the chain store biggies such as Kohl's, Cost Plus World Market and Books A Million. Historic Downtown Melbourne's main street, East New Haven, is three blocks of fun packed with international eye-catching delights, boutiques, consignment shops and antique stores. Better yet, most are dog-friendly. Looking for a unique shopping experience? Historic tree-lined Cocoa Village is home to one-of-a-kind shops, restaurants and other points of interest. In this surfers' paradise, be sure to check out the Ron Jon Surf Shop, a Cocoa Beach landmark and the largest surf shop in the world. 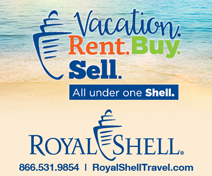 New Smyrna Beach offers exceptional shopping and art galleries along both Flagler Avenue and Canal Street. The route stretches from the river to the ocean and is a wonderful reminder of old-school Florida. Note the Flagler Walk of Fame, made up of engraved bricks along the sidewalk. Daytona Beach's famous Boardwalk is lined with funky shops while the historic downtown offers a bounty of distinctive boutiques and restaurants. And, bargain hunters will be thrilled with the new Tanger Outlets, which opened in November 2016.